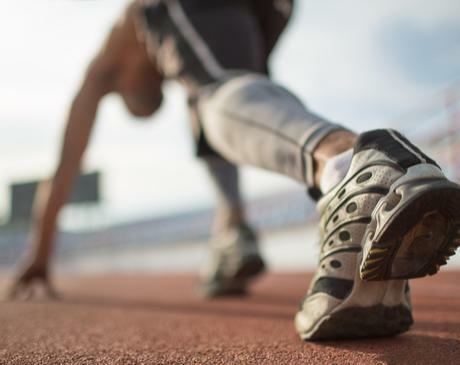 If you’re a Chicagoland athlete with a sports injury but need to quickly get back into the game, the board-certified podiatrists at the Center for Podiatric Medicine can help. They treat athletic injuries using minimally invasive, innovative technology to enhance your body’s natural healing ability. Schedule an appointment at one of the three Illinois offices in the River North neighborhood of Chicago, Schaumburg, and Elmhurst, or the one other location in Highland, Indiana. Call or book an appointment online today. Your podiatrist specializes in treating and preventing sports injuries related to your feet and ankles. Dancers, football players, basketball players, distance runners, and several other athletes are at risk of sports-related foot and ankle injuries. To find out which type of sports injury you have, your podiatrist goes over your medical history and completes a thorough examination. They may run diagnostic tests, such as X-rays, ultrasound or MRIs, to make a diagnosis and determine the appropriate treatment. What are sports medicine treatments? In severe cases, your podiatrist may recommend surgery to treat a sports injury so it heals properly. Less-invasive treatments, such as EPAT shockwave therapy, therapeutic ultrasound, and stem cell injections may be all it takes for your body to heal itself naturally. The team at the Center for Podiatric Medicine always recommends the most conservative option first. Many athletes choose minimally invasive sports medicine procedures over surgery whenever possible to reduce downtime and get back into the game sooner. Even when taking the proper precautions, sports injuries can still occur. If you have a foot or ankle sports-related injury that isn’t healing, book an appointment by phone or online with the Center for Podiatric Medicine to determine which sports medicine treatment is right for you.